IT’S every racehorse owners’ dream to step on to the winners’ rostrum and collect a glistening Group 1 trophy. It represents a triumph at the pinnacle of our sport and a day that no racing fan will forget. If this doesn’t get your hair raising and heart racing we’re unaware of what else will! 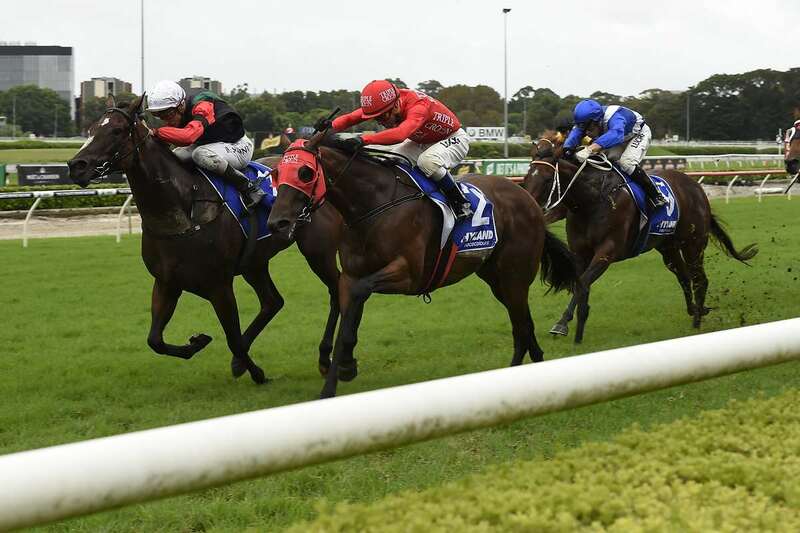 For the Triple Crown owners in Redzel this dream has the potential to become reality as the son of Snitzel is tuned up for an attack at the Group 1 Galaxy on the prestigious Golden Slipper day at Rosehill this weekend. Five Group 1s will be staged on an afternoon of exhilarating racing, where the very best will rub shoulders in competition and champions will emerge, and for Redzel this will be a second attempt at serving it up on the highest level as he looks to build on a superb second in the Group 2 Challenge Stakes two weekends ago. That day he was denied by a Group 1 winner in English as the hardened mare held off a battling charge by a nose from Redzel, who ran out of turf as glory was in sight. Yet if there’s any way of winning a Group 1 it’s in overturning a defeat and the pair will meet again on Saturday in a highly anticipated rematch with Redzel 3kg better off in the weights. A total of 13 rivals stand in his way after acceptances on Tuesday morning, including established Group 1 performers Music Magnate, Fell Swoop and Heatherly. Renowned Melbourne jockey Dwayne Dunn is booked to ride and Redzel will jump from barrier 11 in his quest to become Triple Crown’s third Group 1 winner, following in the footsteps of Peggy Jean and Hot Snitzel. After taking his joyous owners on a journey encompassing Stakes wins at Randwick, Caulfield and Flemington, Redzel faces his most defining challenge yet. But it’s days like this we’re in racing for, and in tandem with his owners, we’ll enjoy every minute of it!